Update: A good catch by one of the commenters. 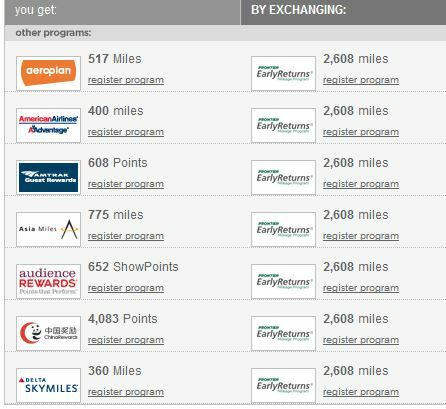 Most of these programs have minimums of 1,000 + miles/points. I only actually exchanged my Frontier miles and didn’t try the others yet. Seems dumb it shows you what you could exchange say 58 miles for if it won’t let you actually do it due to program minimums. This option becomes less useful now but will still work for orphan balances above a program’s minimum. My fault for not testing completely – Sorry about that. I was going through all my accounts on AwardWallet (highly recommended to track all your points/miles balances) and I noticed a handful of “orphan miles” sitting in accounts that I mostly likely wouldn’t use again. Orphan miles are balances of less than a few thousand points/miles with no intent to ever use that program again. Additionally, these points/miles may be expiring soon and you have no possible way to extend them or use them. Sure you might be able to redeem some miles for magazines or other items but let’s say your balance is too small to even do that. 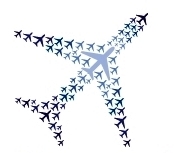 I want to maximize the value of every last mile and embedded within this post from View From the Wing today, I remembered from that post there is a way to exchange these orphan miles/points for miles I actually care about using Points.com. 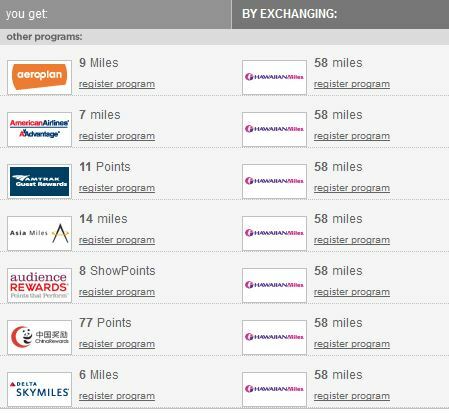 You need to create an account at Points.com and register the programs you want to transfer the miles/points out of. 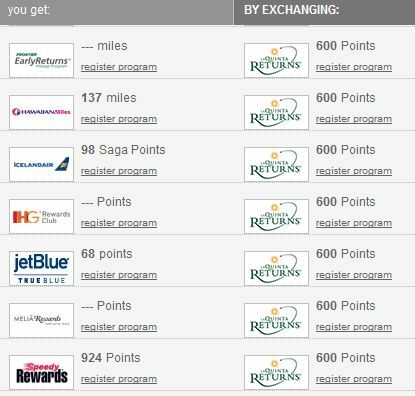 While you can register a ton of programs at Points.com, you can only exchange points from the following programs with no fee: Aeroplan, American Airlines, Amtrak, Asia Miles, Delta, Frontier, Hawaiian Airlines, Icelandair, JetBlue, US Airways, Virgin America, IHG, La Quinta, Melia Rewards, Trident Hotels, and a few non airline/hotel loyalty programs. To exchange the points, you must first add the loyalty program to your Points.com account which is pretty straightforward as you give your membership number and name on the account or in some cases the username/password of the account. From there, you can click trade, exchange & buy on top of the page and fill in the information of the points you want to get rid of. You’ll see a list of possible options, choose your favorite and points.com will process the transaction in about a week. Here are some examples using my orphan accounts. This goes to show you why I register for every free point/mile opportunity and track every account in AwardWallet even if I know I wouldn’t ever use that program. Is this a big deal and way to stockpile a ton of miles by exchanging “bad miles” for “good miles”? Nope, as I don’t think converting 58 Hawaiian Miles into 7 American Airlines miles is significant 99.9% of the time. However, imagine you were just 5 miles short of an award flight you want with AA miles – then these 7 miles aren’t so meaningless after all. Additionally, this is also a way to extend the expiration date of the miles in programs like American Airlines and US Airways. Some people would argue this is a waste of time and that might very well be true. But if Chasing the Points cares about clearing off 2 cents off a gift card, then maybe I should care about redeeming 600 useless points/miles for something that might be helpful down the road.